Branch owner of 911 Restoration Houston Eli Elkayan will do everything he can to keep his community protected, and with the licensed, bonded and insured Huffman water damage crew, keeping homes dry and safe are our main priority. Huffman homeowners in are all too familiar with Texas rain and humidity. The moist climate causes homes to experience water damage and mold growth, which can be damaging to both the structure of the home and the possessions inside. Backed by years of experience, the Huffman water damage team knows how to handle any type of water damage situation. Fixing water-based issues are our forte, and with the latest water removal and drying technology in the industry, we get the job done right the first time around. If your home is already dealing with the aftermath of a water damage event and you want the best in the industry to eliminate it, contact Eli and the water damage Huffman team with 911 Restoration Houston today! We make it our priority to save you time and money, which is why the Huffman flood extraction techs are available 24/7/365 to get to your home when you need help. Our staff guarantees that they will get to your property within 45 minutes of your emergency call. Keep important documents such as birth certificates, social security information, passports and bank documents in safety deposit boxes outside of the home. 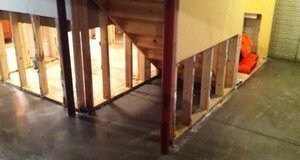 Try not to keep valuable items in the attic, basement or other areas susceptible to moisture. Instead, place them in a water proof safe in a dry, elevated area. Scan physical documents and save them onto a digital cloud. This way you have backups in case the hard copies get destroyed by water. Place furniture on wooden blocks at least two inches above the ground to keep them elevated in case your home floods. This will limit the amount of water that affects your furniture. Store electronic devices in plastic covers or bins. If you can make them water-tight, then that is even better. This will give an extra layer of protection if they ever come into contact with water. 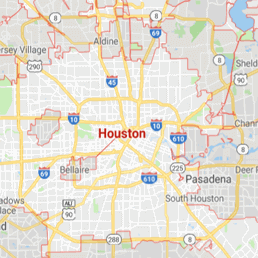 If your home is suffering from a water damage exposure situation, then contact Eli and the water damage Huffman team with 911 Restoration Houston Today! The water extraction Huffman technicians offer free home estimates, as well as free mold inspections, in order to be absolutely sure that both the homeowners and the service agents are all on the same page from the very beginning. We want all of our customers to feel safe and secure once the Huffman water remediation repairmen are on site. Not only do you want to trust us with the physical repair of the home, but we want you to know that we only offer the most competitive prices and make sure to work with all major insurance companies. Our staff will help in every way with your insurance procedures, from filing the claim to talking to reps on your behalf. We want to do it all. The moment you find water damage in your home call the water damage Huffman professionals with 911 Restoration Houston today!